As an e-commerce business owner, you’ve spent countless hours and marketing dollars driving traffic to your website, implemented Adwords campaigns, and extensively advertised throughout the web and on social media. But are you really maximizing those resources spent? Are you closing more sales and generating more leads online? Are you converting enough visitors and keeping existing customers happy? Maybe you are. But with live chat, you could be doing more. There are countless ways live chat can help grow your business. 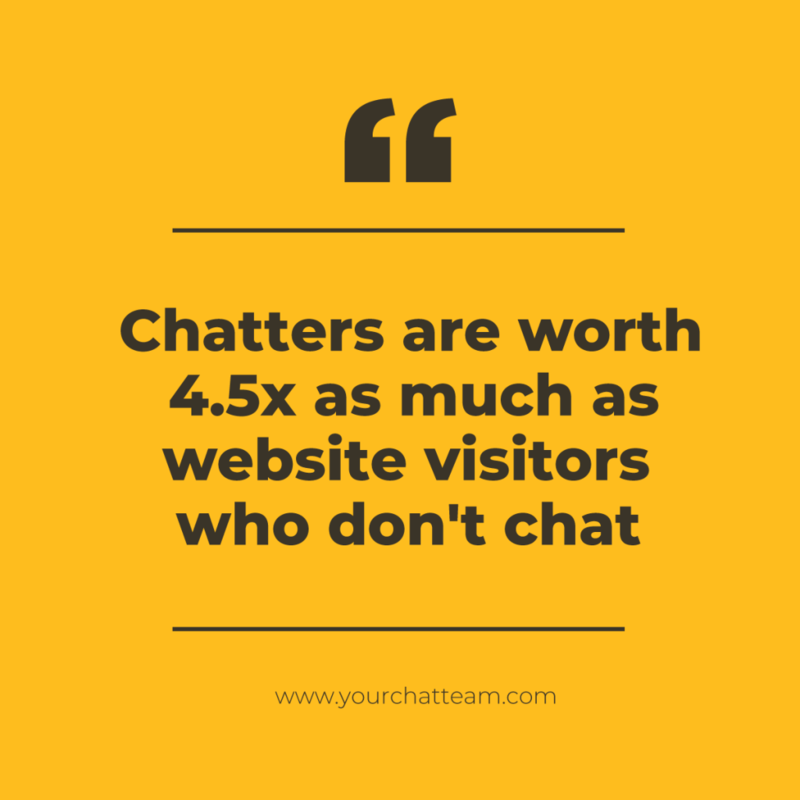 Website visitors who engage in live chat are worth 4.5x more than those who don’t. Live chat doesn’t just increase your revenue by reaching more potential customers, but by increasing revenue from your existing customers too. Basically staffed, 24/7 Live Chat the best e-commerce marketing tool you haven’t heard of. And with proactive live chat, you can increase live chat engagement by up to 35%, reaching even more valuable visitors. Staffed, 24/7 live chat is tool you can’t afford not to have on your e-commerce website. Proactive live chat? Even more so. A proactive live chat strategy can generate up to 35% more chats, can increase engagement rates by up to 400%. It’s is a valuable tool for up-selling, assisting clients through a payment process, reducing trouble tickets, lowering cart abandonment rates, making appointments, running promotional campaigns, and more. Whether you’re selling products or services, 24/7 live chat works. Want to give it a try? Sign up with YourChatTeam today. We’re confident we can help you grow your e-commerce business.